I headed out for a few laps in the electric lake area this morning before the clouds moved in and the light went flat at 12:30. Wind was light mixed with a few stronger gusts from the SE mid morning. The new snow from earlier this week has consolidated to about 19”. Lots of varied (skiable) wind crusts on the surface especially at mid elevations- 8800-9000ft. 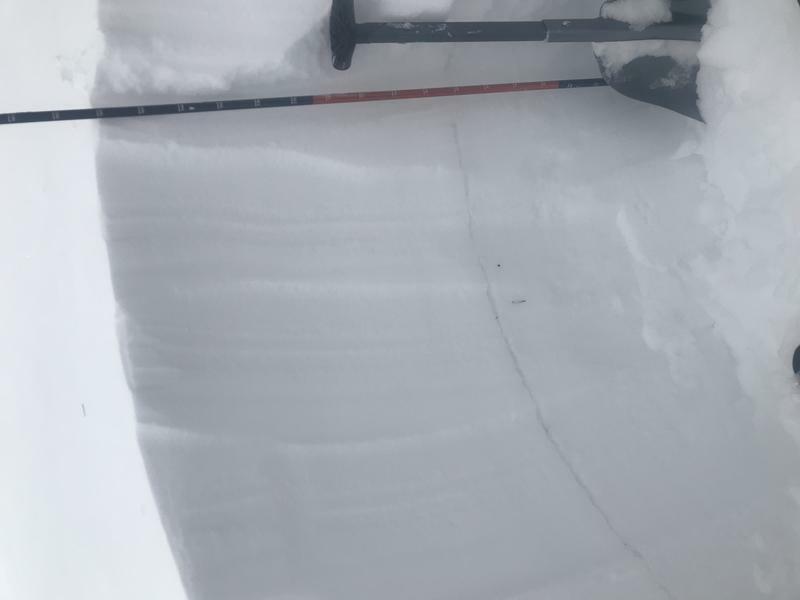 Considering we received about 2ft of new snow earlier in the week and recent windy conditions I was anticipating collapsing and cracking today. However, I didn’t experience any obvious signs of instability where I skied. That being said, I didn’t ski anything steeper than about 32 degrees and did not pass under any steep slopes. I dug a pit at 9300ft north facing. When I skied here last week- before the storm- the surface snow had turned to facets and included surface hoar on sheltered slopes. 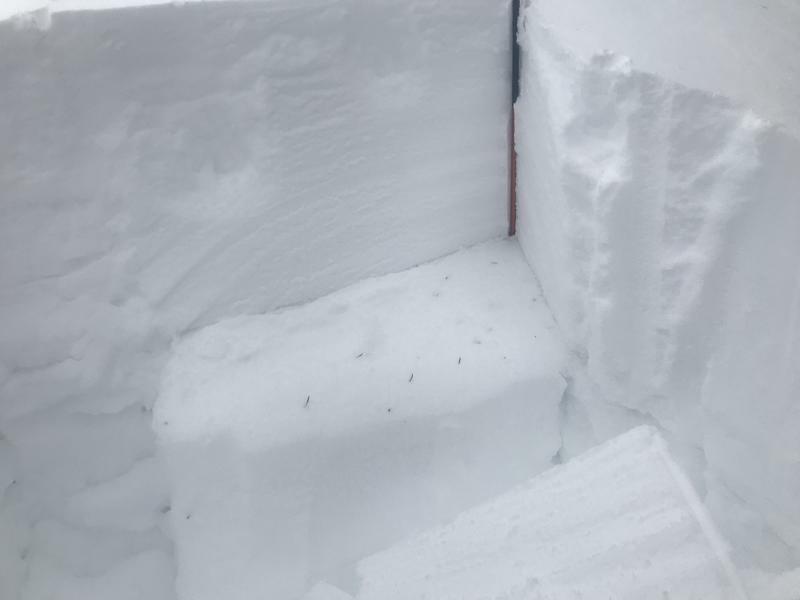 Today’s total snow depth 150cm (in this location). 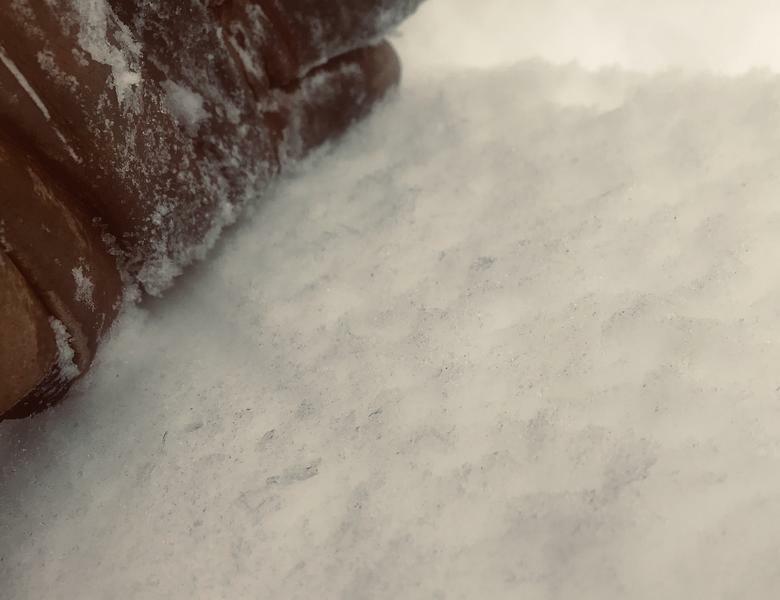 The distinct line in the photo is the old/new snow interface of near surface facets (NSF) and surface hoar at 100cm. ECT12 Q2. 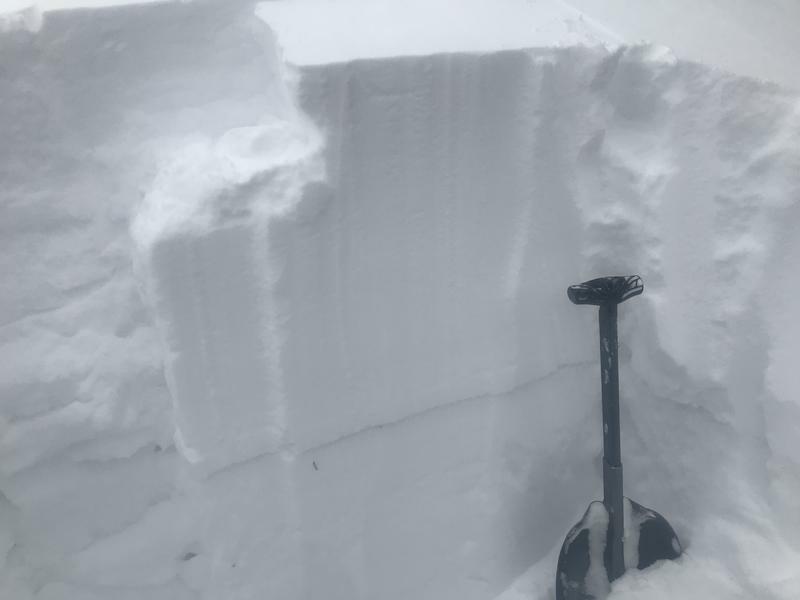 Failing at old snow/new snow interface of buried NSF and surface hoar. Note: I did not dig deep enough to check the reactivity of the persistent mid December weak layer. It is still present at 60cm and easily penetrated when I stepped out of my skis and into the pit.